Want to get a new Android device / phone? Here are a few things to take note of that should be helpful in making your decision. 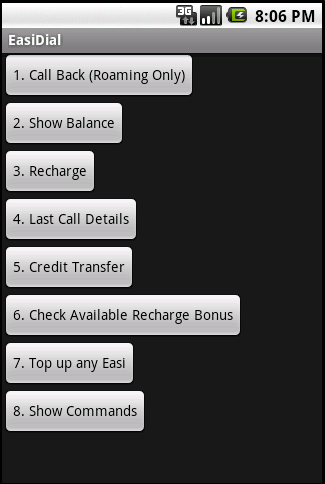 Android 2.2 also known as Froyo is what I would recommend the device to have and ideally have it installed by default. Froyo has been optimized so that it will run faster than Eclair (Android 2.1) on the same hardware. It also has extra features like moving applications to the SD card and also Flash if the hardware supports it. I say that an HVGA screen (480×320 resolution) is the minimum resolution you should look at for a phone size device as (1) it provides a better browsing experience by displaying more of the content on screen & (2) there will applications that won’t support lower resolutions. Typically applications that won’t support this resolution will just be games but I feel a better web browsing experience is much more beneficial. Do note that screen size may be important too as a high resolution on a small screen size makes default text pretty small, so it is something to consider. For a 7″ tablet device, I think WVGA (800×480) is sufficient. Higher resolutions typically just make things look crisper and although that is nice, personally I don’t think it really makes much of a difference (I only recently realized that the HTC Desire has a WVGA screen, didn’t really notice it until I found out about Flash specifications that require at least a VGA screen, more on that later). This is a very big problem that I outlined here and may be something relegated for only budget devices but it is always something to be aware of. You don’t want a brand new device only to find out you are limited to install a limited amount of applications. I think 1GB would be the ideal amount as currently I’m struggling with my LG Optimus One’s limited 172MB of storage. While I do have 60+ self installed applications (only about 12 games), for a power user I think 500MB should be the minimum. This is not a big deal for most phones as they typically have the Android Market, but due to Googles requirements not all Android devices can have Google applications and the Market. This means the device will have to use a 3rd party application store (there are several) but they may not offer all that is offered in the official Market. This problem will be mainly seen in tablets. e.g. Archos 70, Archos 101, Toshiba AS 100. There are ways around this, but require the community to provide it. This may work for the Archos devices but may not work for other tablets (e.g. those manufactured in China as seen on Shanzai.com). There are alternative app stores such as SlideME, AndAppStore and AppsLib or you can just download apk’s from GetJar or the developer’s website if available. If having Flash is important to you (for the sake of just being able to view certain sites), do take note that there is a minimum hardware requirement for Flash 10.1 on mobile. It requires Android 2.2 and and a hardware vector FPU. For VGA devices: Dedicated Cortex A8 (ARMv7) 550MHz App Processor with Neon for A8. WVGA devices: Dedicated Cortex A8 (ARMv7) 800MHz App Processor. This is if you want your device to last throughout the day or just for regular use. Lots of the cheap China tablets have pretty bad battery life (~3 hours maximum) and give for a generally bad usability experience of having to be near a power outlet. Do note that WiFi usage is much less power hungry that 3G, so when possible use WiFi. My Optimus One can last the entire day on WiFi and be over 60% of the battery level at 6pm (unplugged at 7am with 100%) but if I’m on 3G it will practically die by 3pm (10+%/hour) (Note: The Optimus One has a 1500mAh battery). Updates for new Android versions are totally dependent on the manufacturer of the device, so even if Android 2.3 Gingerbread is out now, it won’t come to your device until the handset manufacturer prepares a firmware specifically for that device. There are ways around this by installing custom firmware but that is unsupported by the manufacturer and could be harmful to your device (check out XDA developers, MoDaCo or CyanogenMod for custom firmware). According to this article HTC has the best track record followed by Motorola and Samsung with Dell, LG and Sony having 0%. For the Optimus One, I feel that it doesn’t have to have an update: 2.2 is sufficient and if I have a device with 2.2 being the last update I could live with that. HTC devices come with HTC Sense which is HTC’s custom UI launcher, Samsung has something similar with their TouchWiz UI and Motorala has their Motoblur. While these may be a consideration for some as they have special widgets and features, don’t be let down if your device doesn’t have any of these because Android has many launcher replacements that are just as good, if not better. Popular ones are LauncherPro, ADW Launcher and Go Launcher EX; and what’s best about these launchers is that they can be used on any device, giving you a consistent feel on all devices. 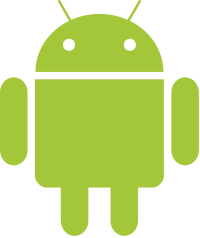 I hope the information helps you decide on a good Android device for you or just informs you a bit more about the Android platform. The Android platform is a good one and offers great things like multi-tasking and notifications which iOS does not have. There are some annoyances or issues I have with Android that makes me wish for a Symbian (S^3) phone due to some extra functionality such as true multi-tasking, but more on that in a future post. So yesterday I decided to do some Android development. I wanted to learn the basics of creating and app to be used for the SMARTER app that will be developed shortly. This idea for the app has been in my mind for quite a while and was spurred on when my brother who went on holiday outside Brunei asked me how to make phone calls using Easi when roaming. I knew that you couldn’t just do a normal call but had to dial a special USSD code to dial (the code being *101*Mobile Number#). Now, it’s not a hard thing to do, to jot the short code down but having a dedicated app lets you have some piece of mind knowing that it has what you need to make the call. So after obtaining an Android phone for an extended period of time and exploring Android and the applications, I found what I feel to be one of the biggest hinderance / annoyance / problem with Android: available phone storage. For many people they may think, just adding a large SD card can solve this issue, but this is not the case. All Android phones have RAM and ROM figures in their specifications that are listed on the manufacturer website or websites like GSMArena but the figure may not be accurate for ROM storage. RAM (Random Access Memory) is needed to store temporary application data/information and helps a device multi-task smoothly. ROM (Read Only Memory) is where the phone operating system and applications reside and each device comes with a base set of operating system features and applications that cannot be uninstalled. This will take away some of the available ROM from the user leaving them with less than the figure stated on the official ROM amount. 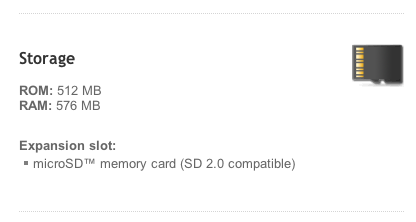 A good example is the HTC Desire which has 512MB ROM according to the specifications page but according to PCMag there is “only 117MB of available internal storage“. 117MB isn’t much and this is the main reason that hinders me from recommending a Desire. It is a very good phone but this is a major issue that can’t be solved. 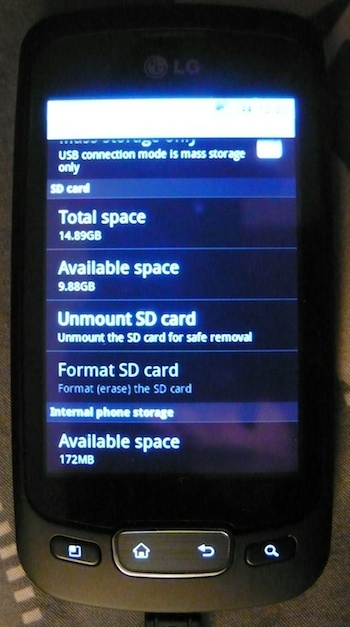 Android 2.2 helps alleviate this problem by allowing applications to be moved to SD cards however this will only work on applications that support this feature and even if they do, they cannot move the entire application to the SD card; there will always be some part of the application on the internal storage. When you get low storage on your phone things get uglier and the phone may not function properly. 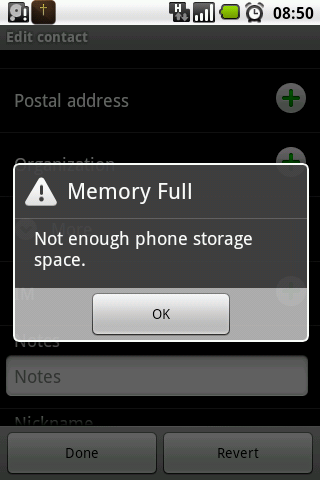 I had about 20MB of available phone storage and I tried to add a phone number to an existing contact and was greeted with an “Memory Full: Not enough phone storage space”. I was adding a single 10 digit phone number to a contact and there isn’t enough space to process / store it. This will lead to Android users to ensure that they have sufficient phone storage and this in turn limits them trying new applications and exploring what Android has to offer. Some people may argue that you don’t need so many applications and that you should delete the apps that aren’t frequently used, but that isn’t solving the problem and if you’re testing out applications you can easily hit the over 200MB (I hit the Optimus One’s ~150MB ‘limit’ of 172MB after installing applications that I wanted to test and a handful of games). I found it very frustrating when I could have a huge SD card with 10+GB free that can’t be fully utilized for applications. It honestly feels like such a waste of space. I think this is where Android could learn from Windows Phone 7 here where the SD card is fused/combined with the internal storage. This fusing would allow users to upgrade their internal storage at any time allowing users to be in charge of their device. This fusing would also solve the problem of applications not supporting moving to the SD card as the fused SD card would be treated as internal phone memory. This would give the opportunity of the user to upgrade their storage if needed, as opposed to putting the responsibility of the the developer to support moving the application to the SD card as it is now. Perhaps this is an issue that manufacturers have not decided to take action upon or perhaps they feel that it isn’t a real big issue. Just due to the fact that it hinders exploration of new apps really gets to me. Newer phones come out with larger ROM sizes but how much is available to the users? I checked a friend’s new HTC Desire HD with only a handful of applications install and there was 0.9GB of phone memory still available (specifications of ROM state 1.5GB, thus assume ~1GB available for applications). Will this problem only be for budget phones in the upcoming future? The HTC Desire was by no means a budget phone when it was released (and still isn’t a budget phone) but it has a low amount of internal storage. Could current phones suffer this same problem in the future? Only time will have the answer and in the mean time, this is a big point of contention for me and makes choosing an Android device a bit more challenging. Follow up post on “Things to look out for when buying an Android phone/device” should come soon. So I have an Android device as I recently bought an LG-P500 also know as the Optimus One from Incomm’s website for a great deal of B$338. I hadn’t heard much of this phone previous to buying it as it’s not one of the ‘super-phones’ with all the fancy features but albeit it is a great Froyo equipped device (by default) with enough RAM to let it have a fluid interface when using it. First and foremost the details on the Incomm website is wrong: it has a capacitive screen not a resistive screen and it also has multi-touch (and thus has pinch-to-zoom). I wanted a device with an HVGA resolution screen (480×320) as it makes it’s easier for surfing the web without the need to be constantly scrolling through the webpage. That only left the GT540 (the X10’s and Wildfire both have 320×240 screens, and the Galaxy 3 has a 400×240 screen) which has a small 3″ screen with a resistive touch screen. While it was pretty smooth and sensitive when I played with it the small screen made typing pretty hard. The Galaxy 3 has a non-typical screen resolution and while lower than the Optimus One resolution, it is the same physical size at 3.2″ meaning text will look bigger on the Galaxy 3 when compared to the Optimus One. RAM is more than enough at 512MB to allow smooth(er) multi-tasking and allows for more caching of data if reading large/graphic intensive PDF files. This plays a major part for the overall usability of the device. I can say the Optimus One is pretty snappy and never had an issue of being forced to close/kill tasks. I’ve never needed to use the task manager to close applications in order for the device to be smooth and snappy. A large 1500mAh battery which seems to have good reviews. I’ve had a pretty good experience last Sunday with 3G on from 7am – 630pm (with no real configuration) but truth be told, I can’t seem to replicate this as of yet, perhaps as I’ve been using it quite a bit or could be some misbehaving apps / syncing issues (an inherent Android problem I believe). Though that being said I crave for Nokia battery life where it wasn’t really an issue to be concerned with. Custom LG keyboard to enable phone keypad in portrait mode. I actually prefer this, especially coming from a Nokia background and I honestly love the Nokia seems to have single hand use almost perfect. On-screen left and right cursors allow moving the cursor left and right which is good option as the device has no physical / optical trackball for scrolling or text selection. Froyo: with features such as performance tweaking, being able to move some data application to SD card and tethering via USB/WiFi I consider Froyo as a standard for all Android devices to come with. Lower versions of Android will typically have lower performance and even have application limitations (not having some applications available to install on the device). Make budget phones do not have 2.2 by default. Limited space to install applications: the stock installation only has 170MB of space to install applications. Being able to move applications to the SD card (this will only move some parts of the application to the SD card and it can’t install the ) helps a bit, but this is another annoying Android issue where the device can’t use the entire SD card to install applications and only has a small section of it’s internal storage to install applications. With about a week using the device and Android, there are more things to be said about them both, and that will come in due time. Have a happy new year everybody! So I just came back from Australia and I found out that B-Mobile was selling the Huawei U8230 at TechXpo 2010 for only BND$299 [Source Borneo Bulletin (Friday 5th November via Website)]. See the full specifications at GSM Arena. The phone was announced in June of 2009 so it is a relatively old hardware platform but at the $299 price point it is very competitively priced. 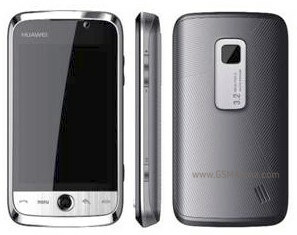 It runs Android 2.1 and uses the same processor is the old HTC Hero so expect it to perform similarly. I gave B-Mobile a call to see if they have any of the units on display to play around with but alas all the units are sold out and they are waiting for a new batch to come. Not surprising that it is sold out being so cheap and offering so much with Android. I applaud B-Mobile for pushing Android at such an affordable price and, in my phone call with them, they said that it is unlocked too. The phone is not a spectacularly fantastic phone but a solid mid-range phone with great potential with Android. The fact that it is Google certified with the Android Market for downloading applications makes it even more compelling. I would highly recommend this to people wanting to get an affordable smartphone as Android is a currently well supported platform and thus has many up-to-date applications unlike Nokia’s S60. PS. Anybody in Brunei bought this? I would love to have a hands on. After hearing BIT Computer had an ePad (a slate/tablet device like an iPad, but running Android) I was curious to take a look as I’ve been looking for a cheap Android reader. Watching videos online with all these cheap Android tablets I knew not to expect much. So I managed to play with it and did come back with a few nice features that I wish other Android phones / tablets would implement. The ePad has a 7″ screen with a resolution of 800×480 and thus is smaller than the iPad in terms of size and screen resolution. It also has a big bezel close to that of an iPad making it quite big for a smaller device. It has a single microSD card slot for expansion, a single 3.5mm headphone jack and a single micro USB port. It also has a front facing camera and a few other buttons on the side (power, volume up/down) and a ‘home’ button on the front (like the iPad). It is also equipped with standard wireless (presumably 802.11g) and even has an option for ethernet connection (I saw a PPPoE item in the settings). There is a cable included with the device that converts the micro USB port to standard female USB port which can be used to attach a standard USB keyboard. I personally love this feature as I brings about possibility of using the device as a productivity tool to do regular word processing (Documents To Go is included with the device). I forgot to ask if you could attach a USB drive and have USB On-The-Go just like upcoming Nokia N8 which would allow you to transfer files to and from a USB drive making it more like a mini computer. The webcam seemed to auto focus and I guess it was taking a 320×240 snapshot, the screenshot application was not optimized for the screen resolution and thus had a weird layout (camera output was in a little section on the left and the ‘take picture’ button was all the way on the right of the screen). Now the device is very unresponsive/sluggish. It was much hard to use than any of the cheap Android tablet videos I’ve seen online. I knew it would be slow and pretty hard at first but it was worse than I expected. After playing around with it, I found the touchscreen sensitive in certain locations but insensitive in others. Pressing the ‘back’ button in the top right corner was pretty hard but selecting input boxes and typing on the keyboard seemed pretty responsive. The device has a custom toolbar on the top of the screen with custom buttons, most particularly a rotate screen and a screen snapshot button. 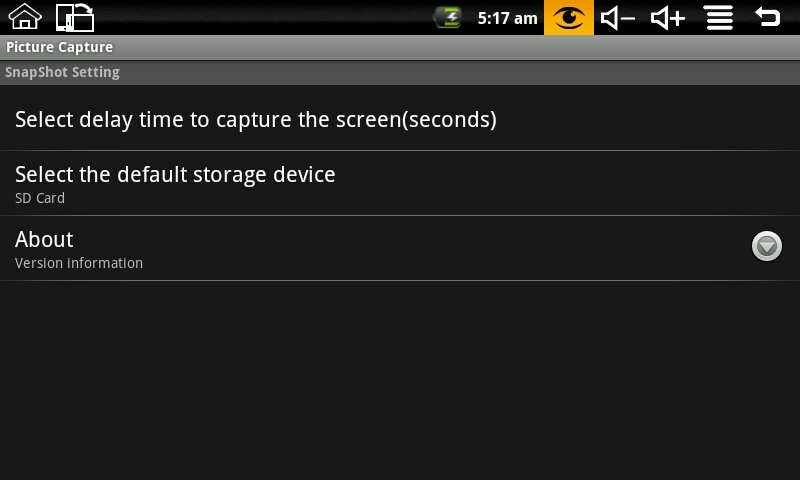 A screenshot utility is something that no stock Android phone/device has even until now. You can install screenshot application only if you root your device which is not something I would recommend a typical user to do. 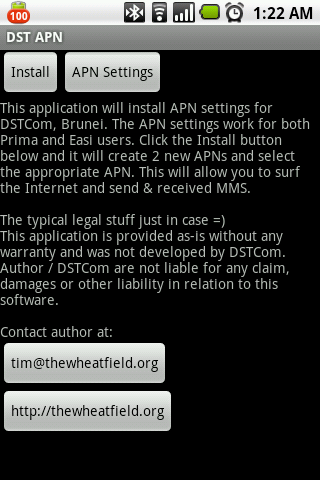 This leads me to believe that this device could be running as root or that they have done quite a bit of customization. Android 1.6 is running on the device and it has the Google Market Place among other APK managers/installers in order to install applications. It also has a full license of Documents To Go allowing you to view and edit documents. PDF viewing is done through Documents To Go but I was not able to view PDFs as it was requesting registration of the product in order to proceed. I was not able to test and video playback or web browsing as I did not have any videos on hand or Internet access. So I cannot comment on the abilities or speeds in those areas of the device. I will try go back to test them and take screenshots of all the applications installed.